At Ayur Wellness and Pain Centre we offer ayurveda treatments for health and well-being of a person. We specialise in dealing with Spine related problems like Disc prolapse, disc degeneration, chronic lower back pain, sciatica, spondylitis and so on. We combine ayurveda treatments with Osteopathic manipulation to help with your pain. We also offer other holistic therapies for relaxation. We offer very good discount if you book more than 3 sessions in a row. 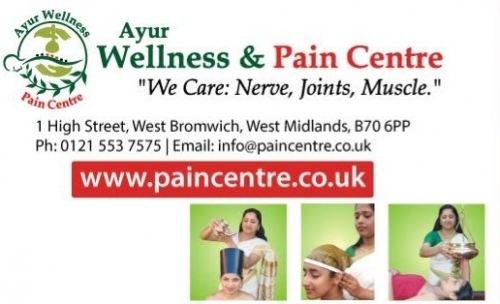 Ayur wellness and Pain Centre, 1 High Street, West Bromwich, Birmingham, here you will find everything that can Nurture your Body, Mind and Soul with Ayurvedic therapies. 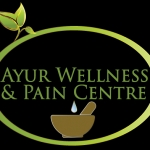 Being a world of rejuvenation, revitalization and relaxation, Ayur Wellness &amp; Pain Centre is one of the places where the classic and traditional Kerala system of Therapies is practised in its comprehensive form with Ayurveda treatments, Modern Manipulation, Colonic Hydrotherapy and other therapy disciplines for Nerve, Joints &amp; Muscle. 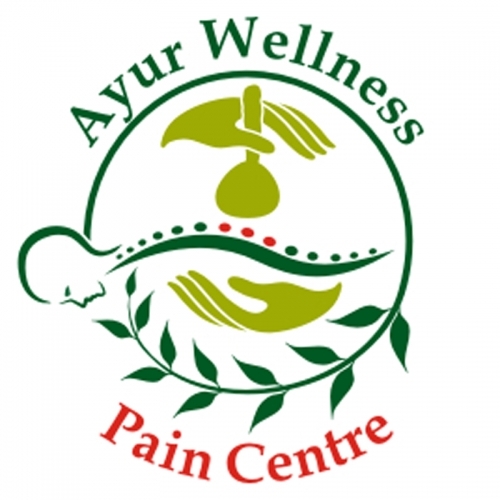 Ayur Wellness &amp; Pain Centre is started with the objective of providing better health and longevity for its customers. We provide Kerala traditional Ayurveda therapies with absolute dedication, so that the individuals who use our services are encouraged to integrate Ayurveda into their daily life for their own benefit to bring peace, balance of body, mind and soul. We do special treatments for Frozen Shoulder problem. Our clients are getting benefits from our Special Marma treatment even they tried other treatments before, including Ayurveda, Acupuncture, Physiotherapy etc. , we have solutions that may be able to help you. We do FREE Consultation, Separate section for Ladies with female staff and Gentleman with male staff. Our special Marma Manipulation treatments are entirely different to other Ayurveda centers. Marmas are special points on the body where according to Ayurveda vein, artery and nerve cross each other. These points are described as vital energy points in the body. These points are used as survival methods in olden days during a war to kill the opponent. A therapist requires a lot of skill and knowledge to deliver this massage. An Ayurveda full body massage with herbal medicinal oils which lasts for an hour following special techniques laid out by ancient Indian Medicine. Ayurveda describes abhyanga as part of daily routine one has to follow in maintaining health and well-being of an individual. Abhyanga involves long strokes along the course of the body covering all parts of the body. Abhyanga when performed according to ancient textual guidelines has to be done in special 6 postures. This therapy is useful to treat the patients having joint pain, muscle pain, back pain etc. The massage provides you deep relaxation and healing. This therapy is also helpful for obesity, especially for diabetic gangrene etc. 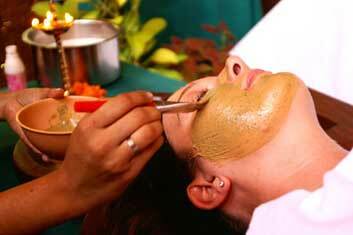 Udhvartana /scrub massage is a special Ayurveda massage performed vigorously using herbal Powder. Udhvartana helps body to lose fat/cellulite by increasing the blood circulation and it improves the glow and tone of the skin. Pizichil is an ayurvedic treatment where medicated oil is poured on the body along with massage of the local area with up and down strokes along the course of the body is carried out the procedure. A cloth dipped in warm medicated oil is used to squeeze the oil on the body. It helps in maintaining muscular tone, improves blood circulation and helps in strengthening the muscle. Recommended in rheumatism, arthritis, depression, insomnia and nourishing nervous system. Nasya is administration of medicinal oil, paste and decoction in to nose. This is one of the five detox procedures explained by Ayurveda. This is nourishing and detoxifying procedure for nasal mucosa. It helps with allergies, respiratory infections and clearing sinuses. It is the simplest of all 5 detox procedures explained by Ayurveda and yet very effective in curing diseases above the clavicle. “Shiro" means head and “dhara" means pouring. This is relaxing and yet gentle procedure where warm oil is poured on the forehead for certain period of time from certain height. This is type of modified sudation therapy used for stress related conditions. 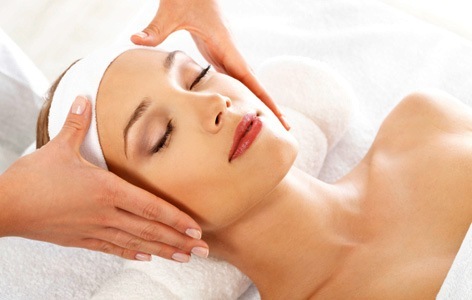 This treatment starts with gentle neck and back massage and ends with a head massage. 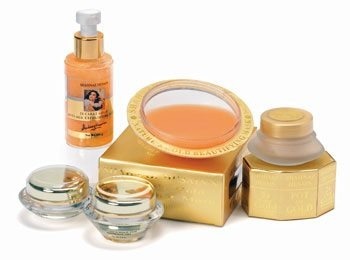 This is very relaxing treatment and strengthening treatment for head and scalp.